Performance artist and choreographer Ligia Lewis’ research residency at Or Gallery is part of a constellation of events where artists and guest-speakers think alongside her on themes in performance and gesture. Or Gallery will transform into the ‘Breathing Room,’ a publicly accessible rehearsal space and reading room where Lewis will break from her near-constant touring schedule to view performance archives, respond to texts and develop ideas with visitors including performance artist keyon gaskin (Portland, OR). On Friday February 1 at 5pm, Or Gallery and Western Front co-present this event with keyon gaskin. Working with and against the impossibilities of linguistic expression to represent gesture and embodiment, this free form engagement features the artist moving, thinking, and/or speaking through and around their practice. **please note this event will start on time and will only be one hour in duration! On Saturday February 2 at 2pm, Or Gallery will host a roundtable on the performing body with presentations by Joshua Chambers-Letson (Northwestern University) and Tina Post (University of Chicago) who will be joined in conversation by Laura U. Marks (SFU) and moderator Phanuel Antwi (UBC). 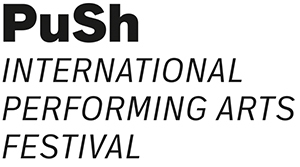 These talks are presented in collaboration with the 2019 PuSH Festival. Their practice develops gesture and embodiment as a means of entangling space, audience, artist, curator, gallery and sites beyond. Joshua Chambers-Letson is a writer and performance theorist who researches and teaches courses in performance studies, critical race theory, political theory and queer of color critique. His work places performance studies in conversation with a diverse set of fields including black studies, Asian American studies, Latinx studies, art history, legal studies and Marxist theory to ask two central questions: How do black, brown, Asian, queer and trans people (alongside other minoritarian subjects) use performance both to survive the destruction and devaluation of their (our) lives and lifeworlds? And how does performance become a means for rehearsing and enacting new worlds and new ways of being in the world together? Tina Post’s work is preoccupied with racial performativity, especially (though not exclusively) the ways that black Americans perform racial identity. What modes of embodiment assert belonging or dis-belonging, and how? When do racialized subjects confirm and when do they subvert the expectations of their identitarian positions, and to what end? How do other factors of embodiment (gender, dis/ability, hybridity and so forth) color these performances? She approaches such questions primarily through the lenses of affect and performance studies, using literature, visual culture, fine art, theater and movement as examples and objects of study. Laura U. Marks works on media art and philosophy with an intercultural focus. Her most recent books are Hanan al-Cinema: Affections for the Moving Image (MIT, 2015) and Enfoldment and Infinity: An Islamic Genealogy of New Media Art (MIT, 2010). She programs experimental media for venues around the world and is Grant Strate University Professor in the School for the Contemporary Arts at Simon Fraser University. Amy Kazymerchyk is a curator who has paid particular attention to moving image and time-based practices, with intrigue and care towards their encounters with cinema, music, literature, painting, dance and performance. From 2013 to 2018 she was the Curator of SFU Galleries’ Audain Gallery. Previously she was the Events and Exhibitions Coordinator at VIVO Media Arts Centre. In 2008 she inaugurated DIM Cinema, a monthly series of artists’ moving images at The Cinematheque, which she programmed until 2013.